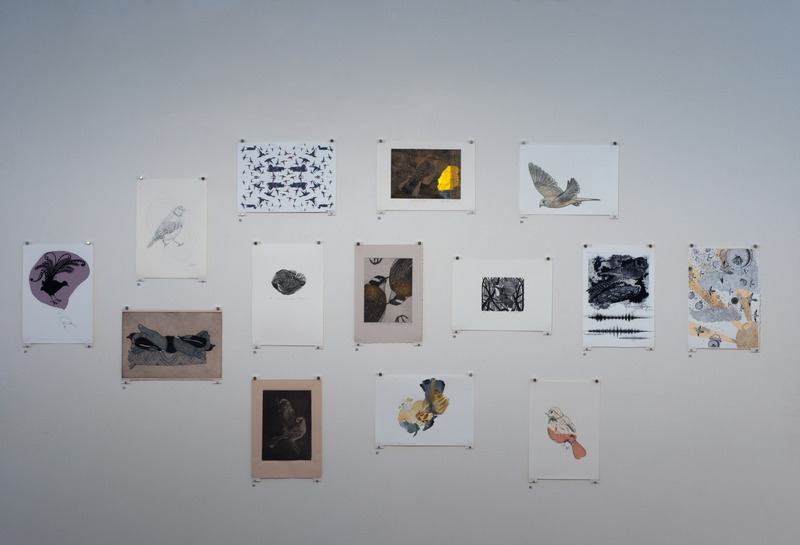 Bimblebox 153 Birds was first exhibited during May, 2015. 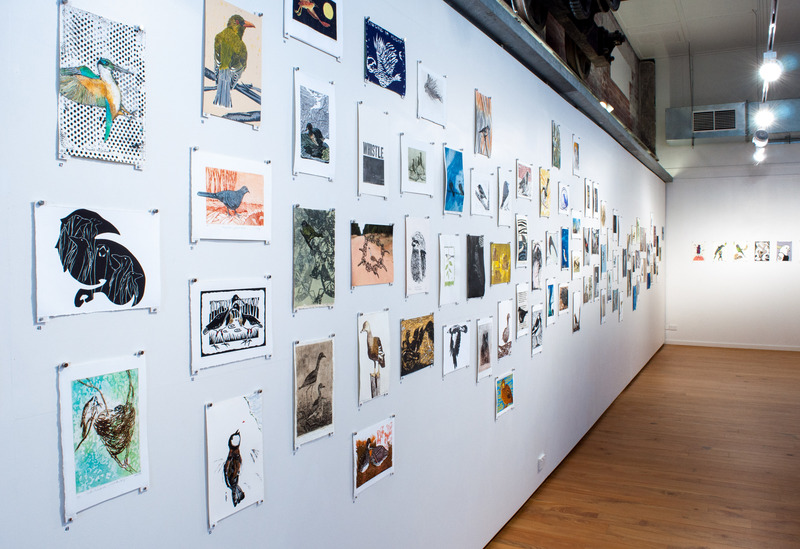 153 Artists created 153 artworks. 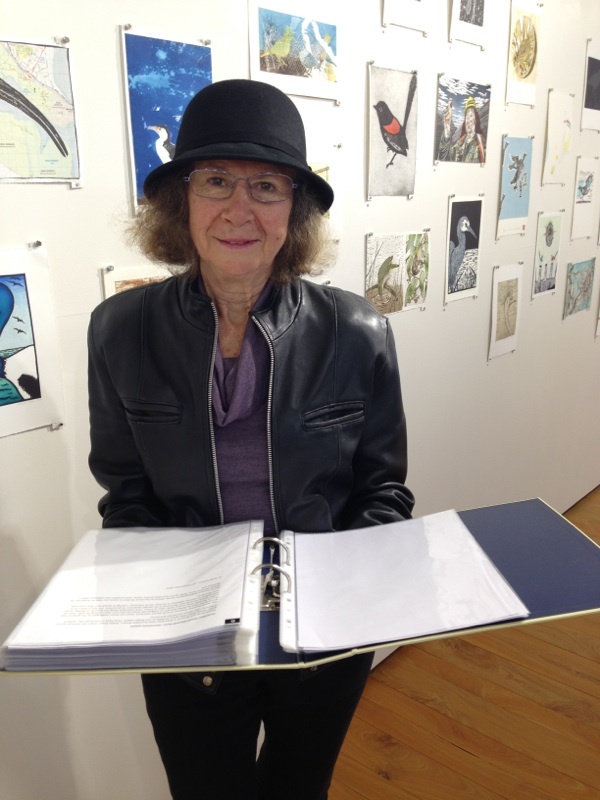 153 writers created 153 poems & prose. 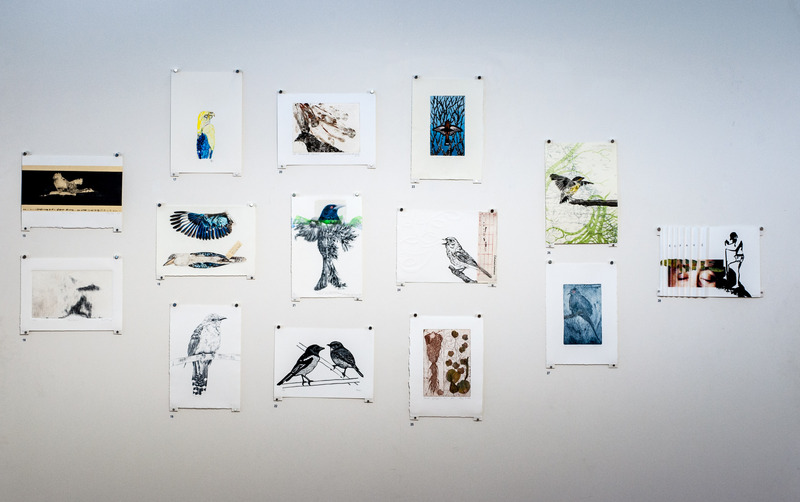 153 musicians interpreted the written onomatopoeia and mnemonic notations for these birds creating 153 bird calls. This is Bimblebox 153 Birds. 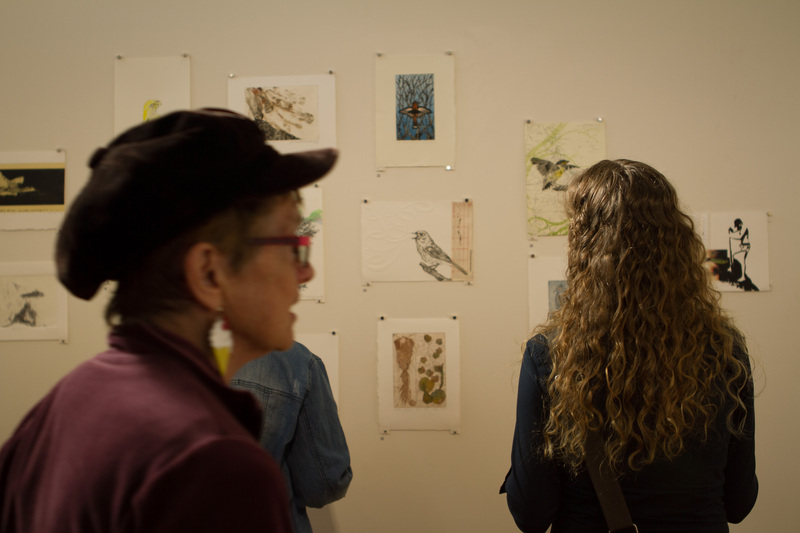 Here you will see some photos of the Bimblebox 153 birds exhibition and events and hear some of the writers and musicians audios. 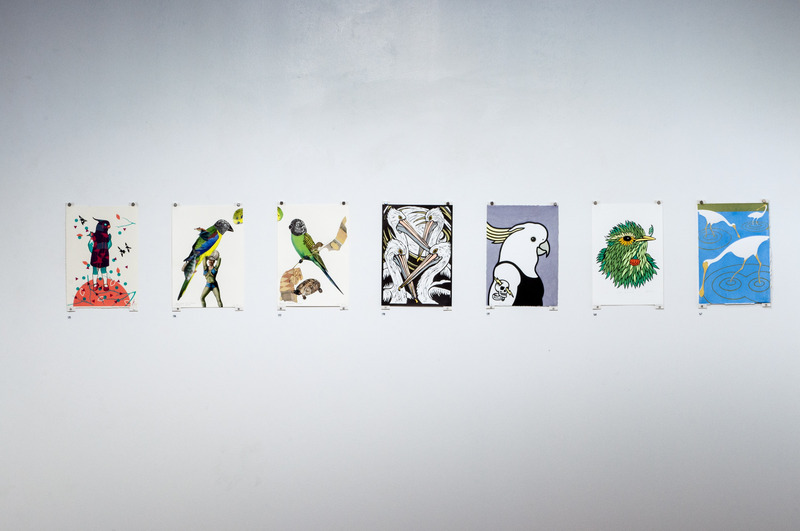 Bimblebox 153 Birds is now an extensive collection and I can only give you a taste of it here. I intend to add more photos of the artwork as well as writers’ and musicians’ compilations to this website over several months. 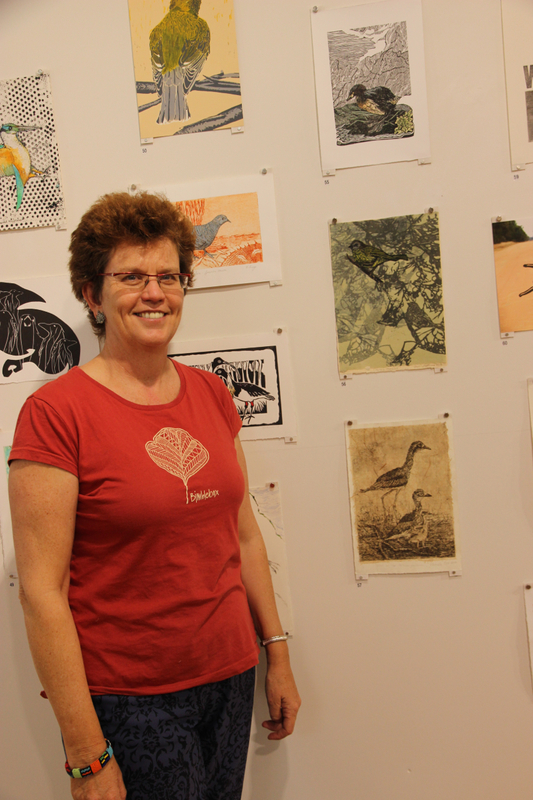 Bimblebox 153 Birds was exhibited at the Impress Printmakers Studio and Gallery, Brisbane in May 2015. 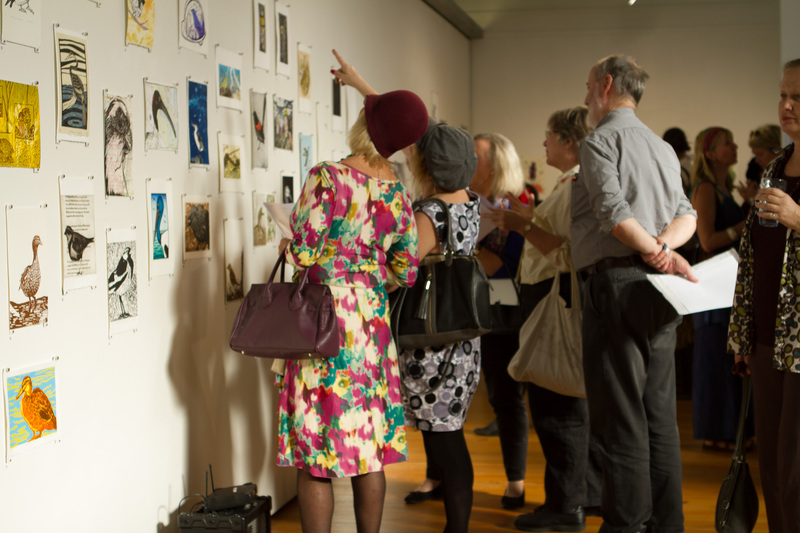 It was astonishing to see so many species of birds filling the gallery. 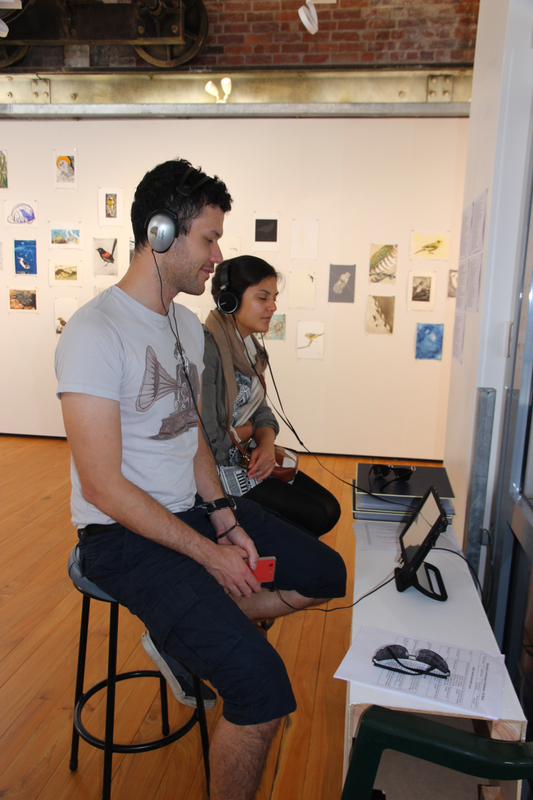 Audio of the writers poetry & prose mixed with the musicians bird calls played into the gallery. 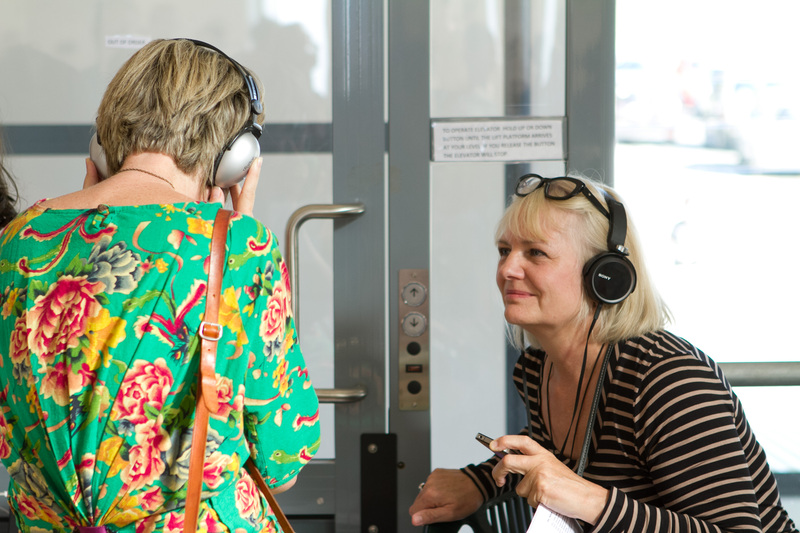 A listening station provided the opportunity to choose to listen through headphones to any of the audios by the writers and musicians. 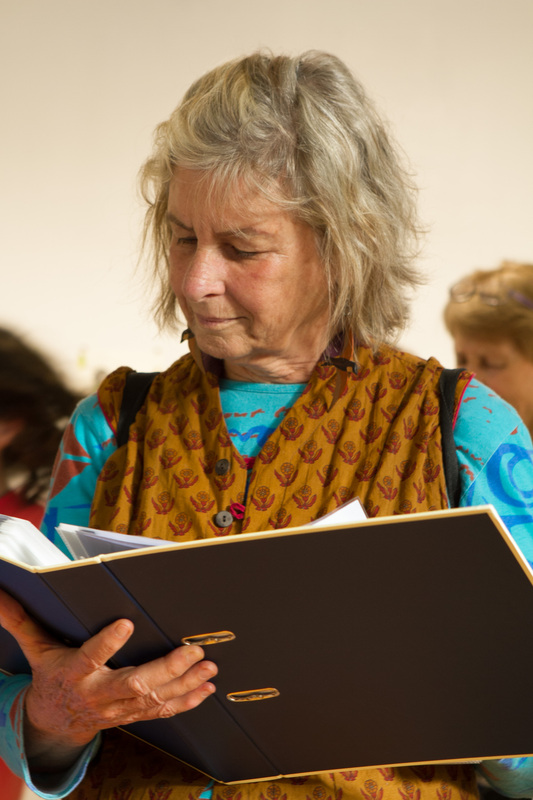 Also provided in folders were printed copies of the bird inspired poetry and prose. 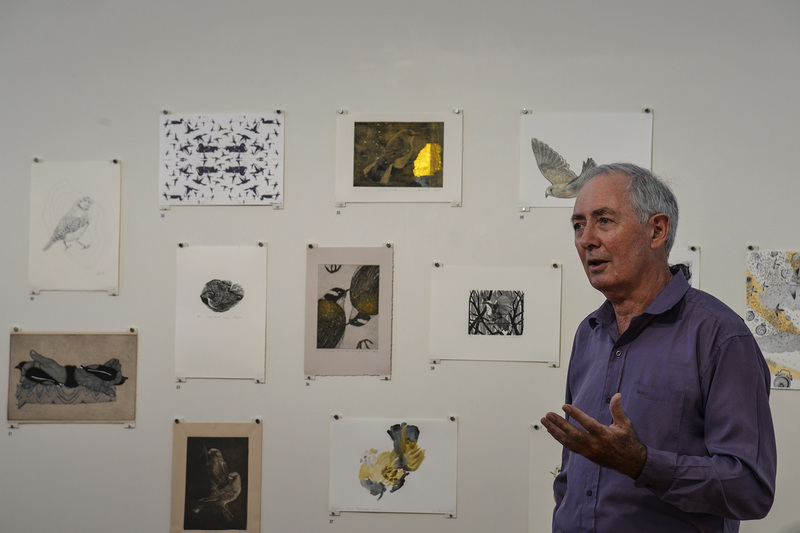 Emeritus Professor Ian Lowe AO opens Bimblebox 153 Birds, photo Jennifer Eurell. 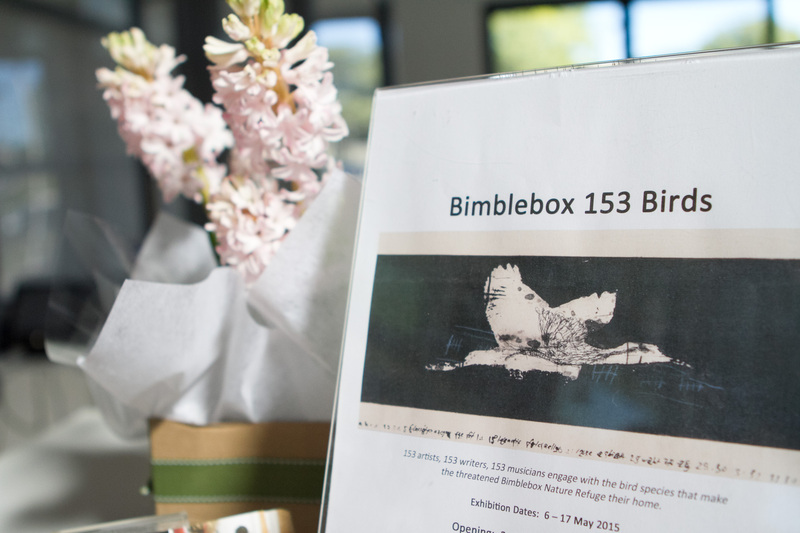 Bimblebox 153 Birds was officially opened by Emeritus Professor Ian Lowe AO. Ian gave an inspired, informative, and entertaining opening address. Ian spoke to us about the global, national, local and personal cost of developing more coal mines and in particular what we risk losing by destroying the Bimblebox Nature Refuge for coal mining. Ian reminded us with his compelling insight and all encompasing science that Climate Change is the great challenge to ongoing life on planet Earth, our home. 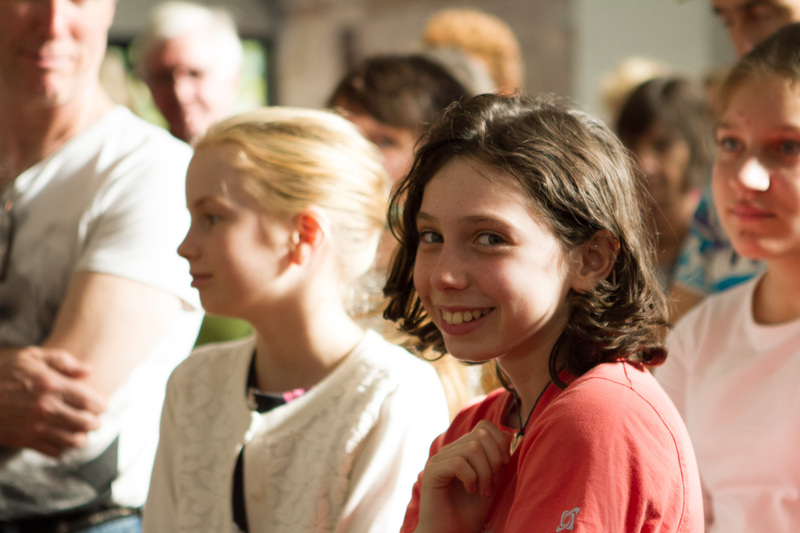 Ian spoke about the myriad forms of life that make up the incredible biodiversity of the Bimblebox Nature Refuge and finished his address with a poem penned especially for this occaision. Ian Lowe is also a contributing writer to Bimblebox 153 Birds with his poem about that much loved iconic Australian bird – the Galah. The Galah, Poet Emeritus Professor Ian Lowe, Musician Stephen Bradbury on Moog LP, Doepfer Dark Energy Boss Loop Station RC-30, Moog Moogerfooger MF103 Phaser. Compilation and mixing by Boyd. 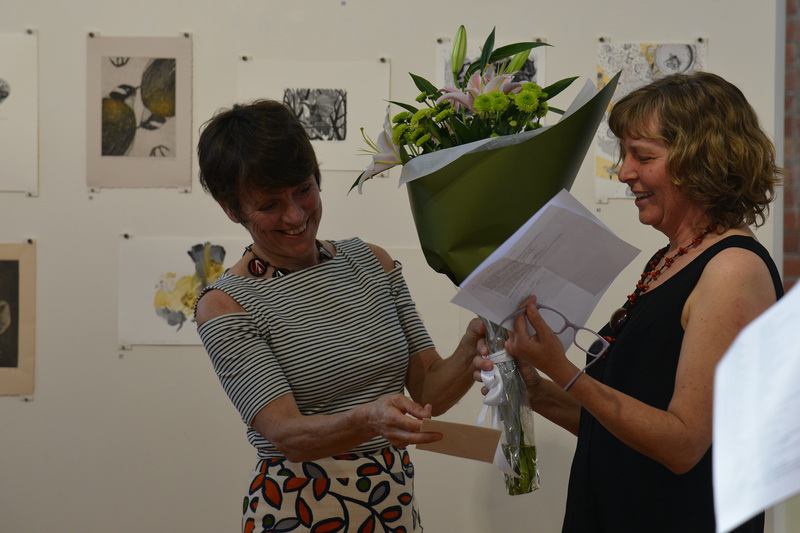 Alison Clouston presents Jill Sampson with a boquet of beautiful flowers as thank you for the Bimblebox Art Project and Bimblebox 153 Birds. photo Jennifer Eurell. 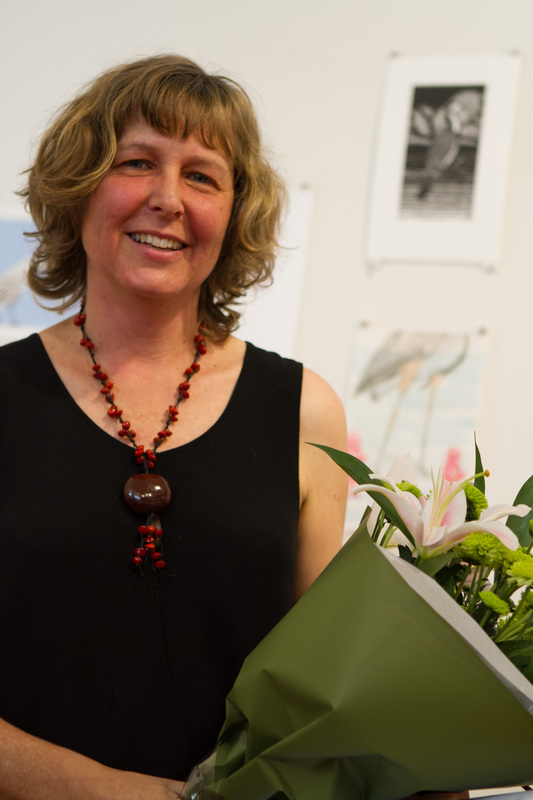 Coordinator and Curator of Bimblebox 153 Birds Jill Sampson, photo Alana Brekelmans. The Wandering Whistling Duck, Writer Peter Shepherd, Musician Markus Kuchenbuch, flute in C. Compiled and mixed by Boyd. Pied Cormorant, Poet Victoria Norton, Musician Vanessa Tomlinson and clocked out percussion. Compiled and mixed by Boyd. 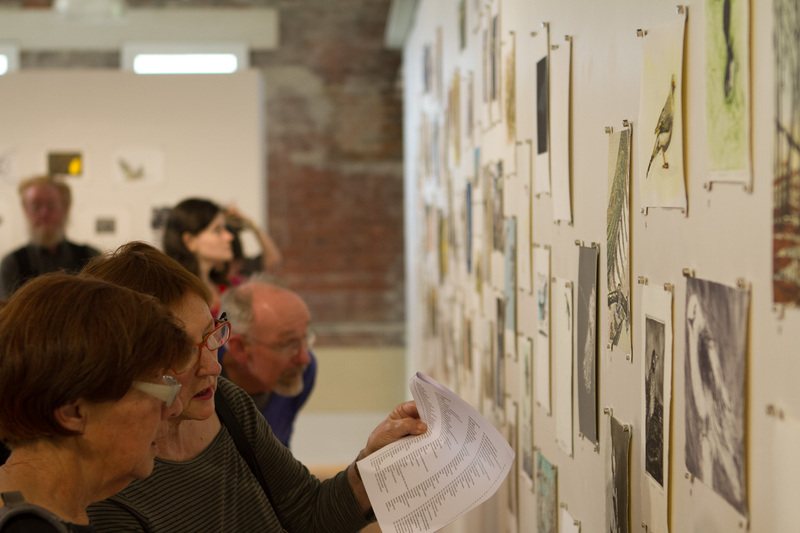 Reading through the writers pieces at Bimblebox 153 Birds, photo Alana Brekelmans. 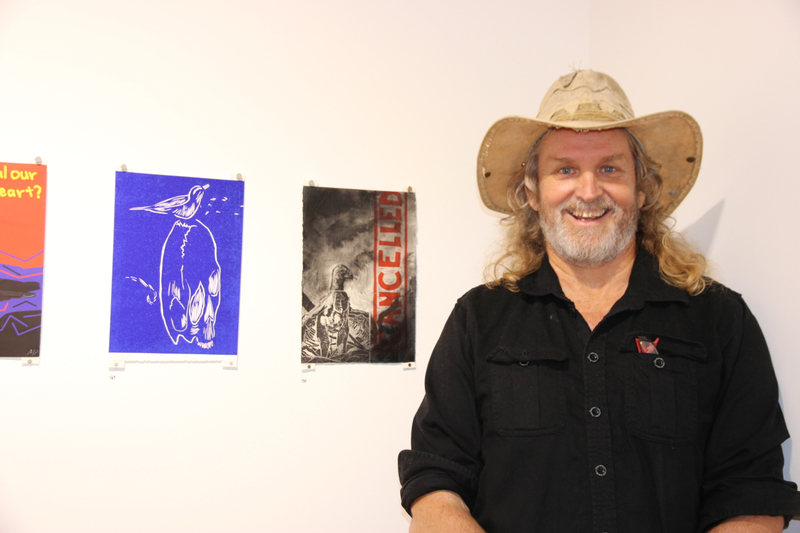 Gerald Soworka with his artwork of a wedgetailed eagle chick, at the opening of Bimblebox 153 birds, photo Jill Sampson. Wedge-tailed Eagle, Poet Rachael Mead, Musician Colin Offord on Wedgetailed eagle Feather Flute. Compiled and mixed by Boyd. 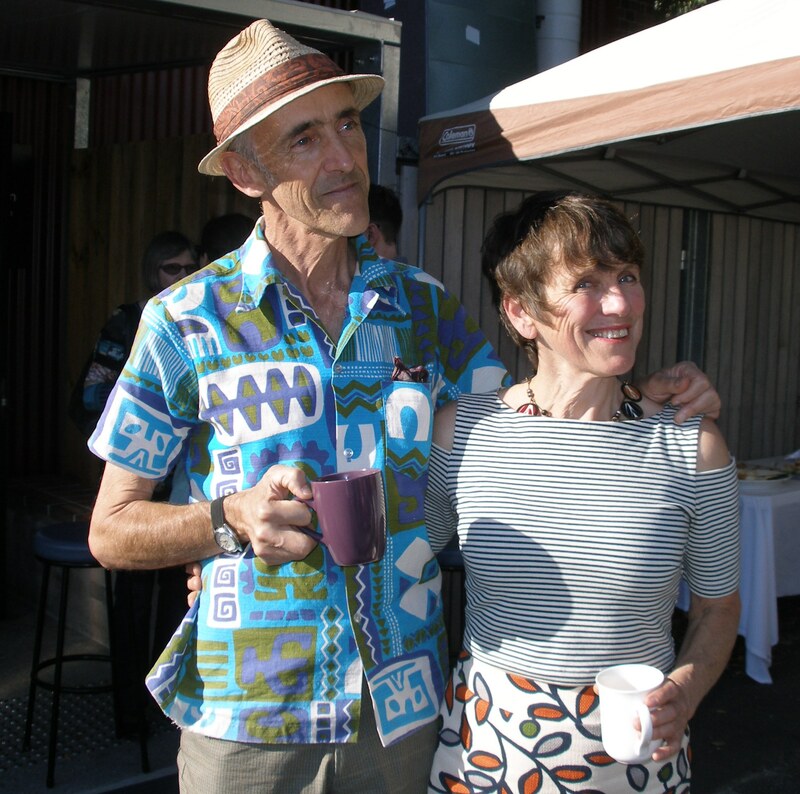 Alison Clouston (artist) and Boyd (sound compilation and mixing for 153 birds) at the opening of Bimblebox 153 Birds, photo by Gabrielle Sheldon. Rufous Songlark by Poet DA Carter and Musician Brian Ritchie on shakuhachi. Compiled and mixed by Boyd. 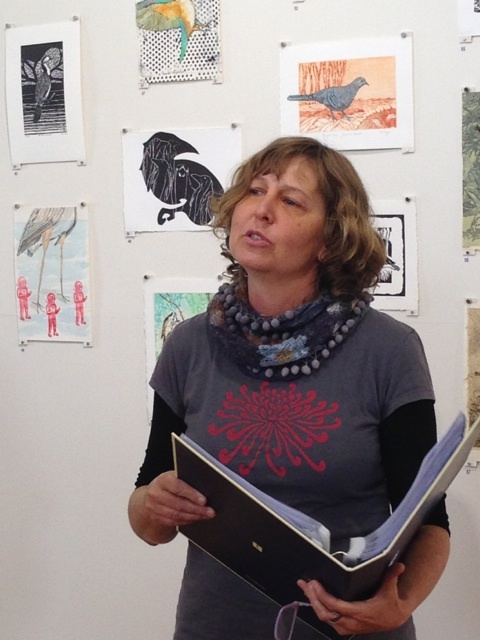 Hooded Robin, Poet Brenda Dyack, Musician Jocelyn Moen, voice. Compiled and mixed by Boyd. Afternoon tea with Birds! photo Jennifer Eurell. 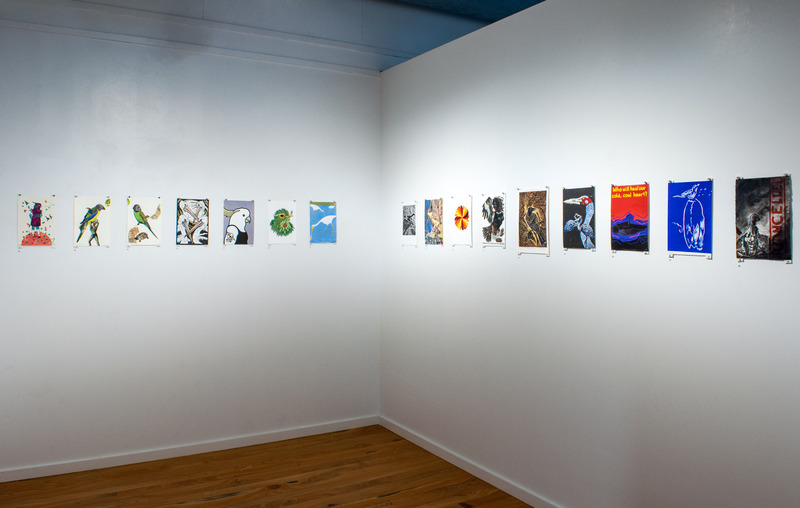 This next group of photos show how the exhibition looked in the gallery across the six wall panels. 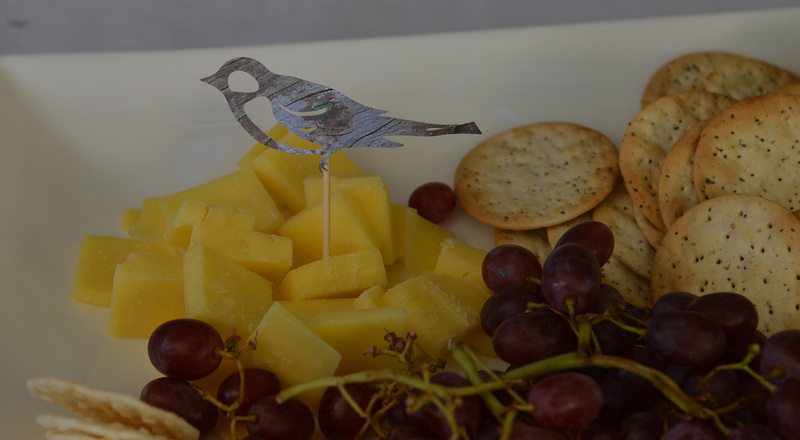 The idea was for the birds to lead the visitor in toward the great flock of birds and to try to create some visual movement akin with the way flocks of birds sometimes group, pull apart and re-group. 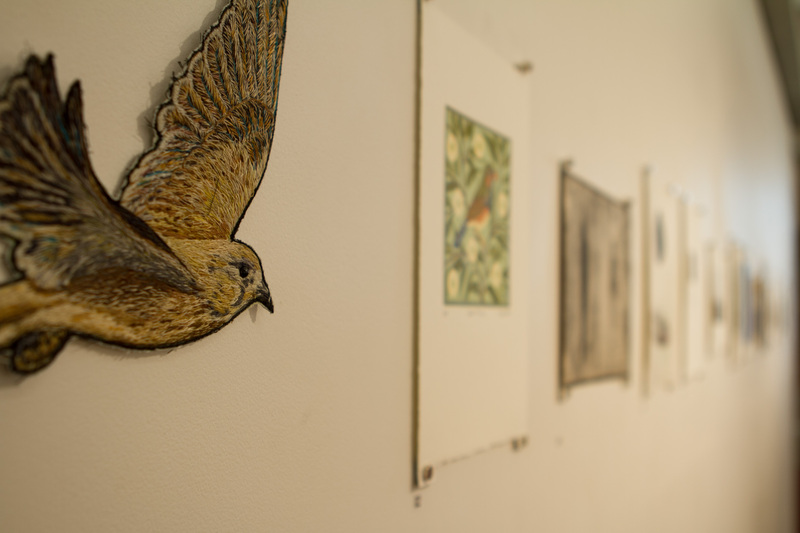 Bird watching in the gallery, photo Jill Sampson. Brown Falcon, Poet Ariel Gordon, Musician Myf Turpin on piano. Compiled and mixed by Boyd. 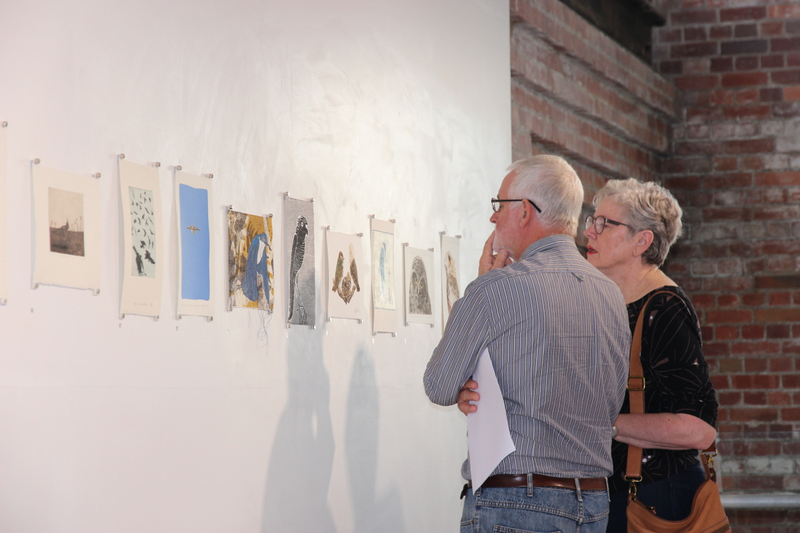 On the final weekend of the exhibition I gave a talk about Bimbleblebox 153 birds and invited the artists that were in attendance to speak about their artwork, while writer Gabrielle Sheldon read her poem. Jo Bragg from EDO Qld was also able to give us an update on how the Bimblebox Nature Refuge currently stands with the proposed coal mining plans to resume and mine the property. The afternoon talks were an informal session which was also a lot of fun. 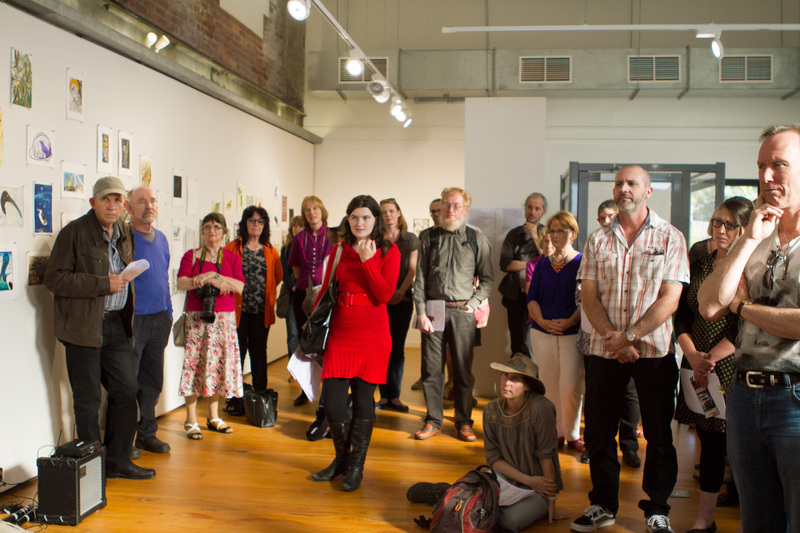 Thank you to everyone who came along and to all that spoke and contributed. 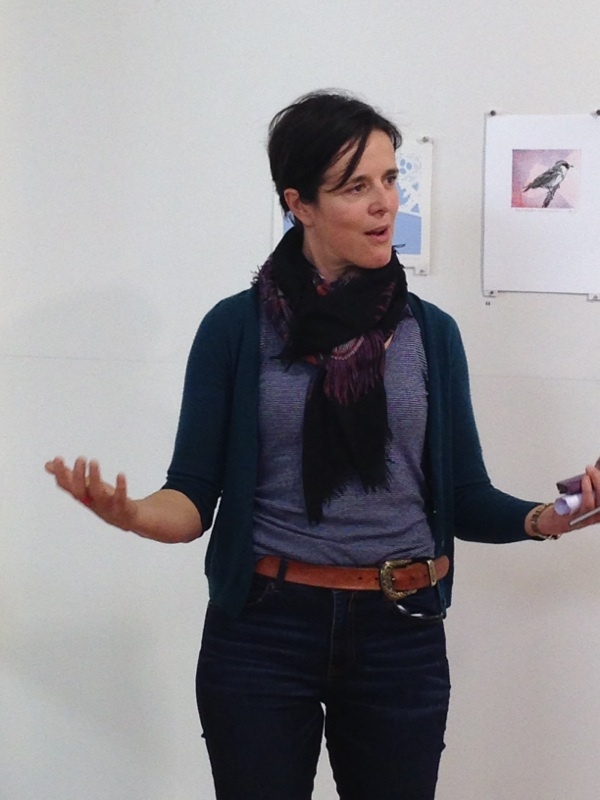 Dusky Woodswallow, Poet Beth Jackson, Musician Peter McIlwain on synth vocoder. Compiled and mixed by Boyd. The Channel-billed Cuckoo, Poet Lorne Johnson, Musician Ron Nagorcka on didjeridu. Compiled and mixed by Boyd. White-throated Gerygone, Poet Gabrielle Sheldon, Musician Kjell Samkopf on vibraphone. Compiled and mixed by Boyd. Red-chested Button Quail, Poet Lou Steer “A twitchers diary”, Musician Ian Ahles on guitar. Compiled and mixed by Boyd. Bush Stone Curlew, Poet Hazel Hall, Musician Colin Offord on Eagle Feather Flute, Bamboo Horn and Bamboo Windpipe. Compiled and mixed by Boyd. Emeritus Professor Ian Lowe AO for his speech to officially open Bimblebox 153 Birds. Boyd who coordinated the musicians, then compiled and mixed the musicians bird calls with the writers audio. Boyd and Alison also flew up and helped install. 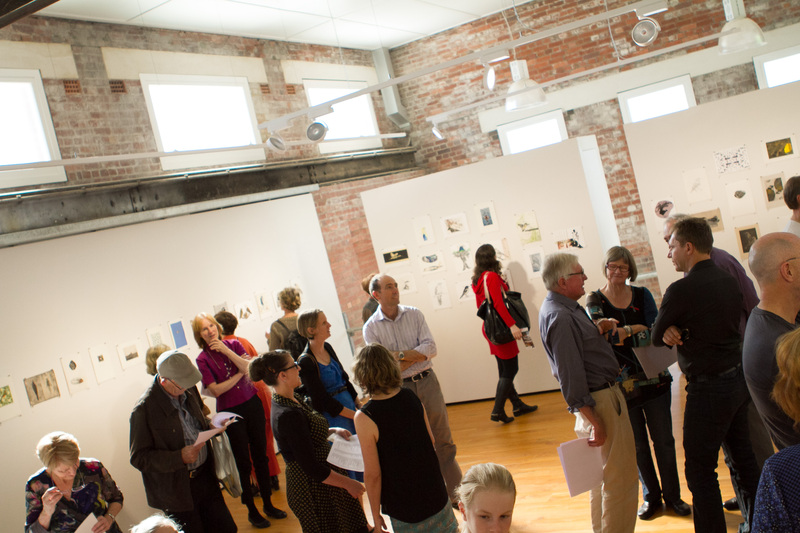 Alana Brekelmans, Paula Quintela, Jennifer Eurell, Gabrielle Sheldon & Jo Bragg and your wonderful photographs. Susan Goddard for her amazing work to coordinate the afternoon tea at the opening and thank you to Gerald and everyone else who helped to set up, brought the teapots, coffee pots and urn and all of you who brought a plate of food to share. Jody MacDonald for writing and distributing the press releases. 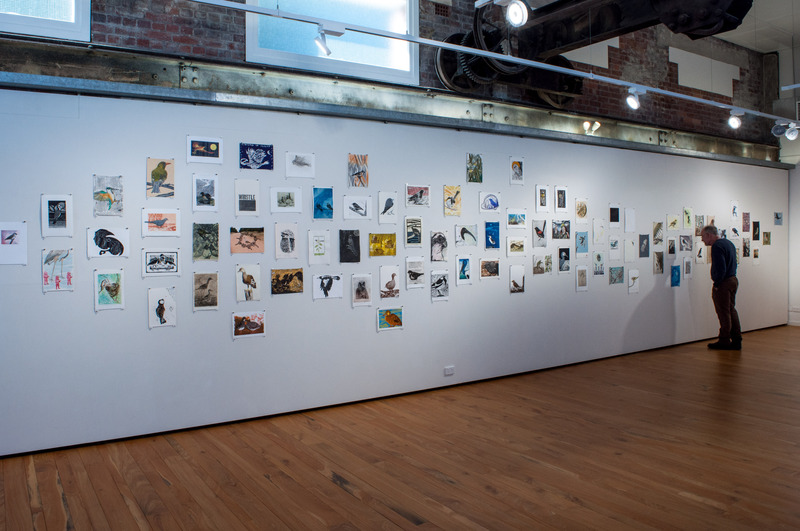 Thank you to the artists who donated extra artworks for sales. 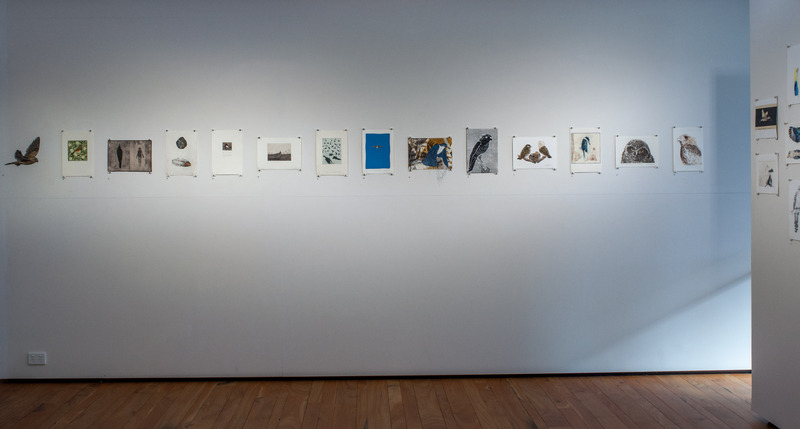 Many people purchased bird prints at the opening and the money raised offset the hire of the gallery and some other costs associated with the exhbition. 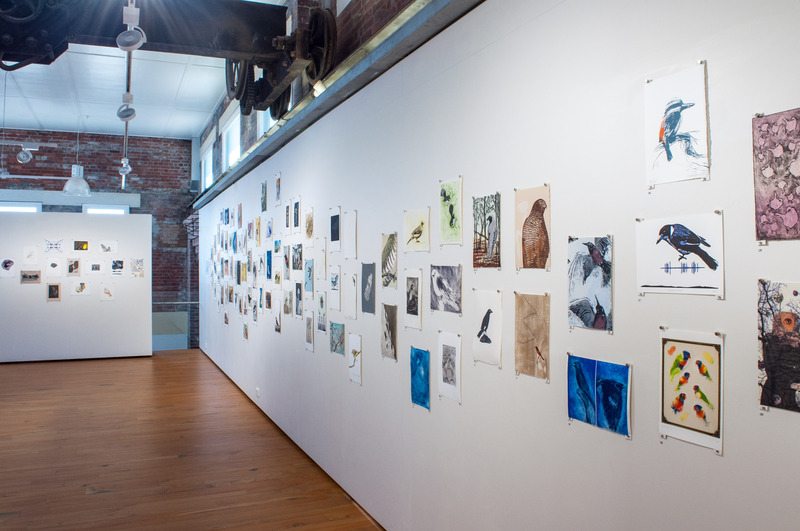 Thank you goes to all the amazing Artists, Writers and Musicians who have each contributed an artwork, written piece or musical bird call interpretation for the birds of Bimblebox. Without each of you believing in this project it would not have been possible! Over the two years of building 153 BirdsI have shared with you some of your joys and sadnesses through our emails, as life and all it brings continues apace. It has been a joy to connect with you all and I feel I have made many friends along the way. Thank you for your support, committment and trust. Thank you especially for giving a voice to the Birds of Bimblebox. And just one more thank you – to my family. Just like everyone else we have been through a great deal over the time Bimblebox 153 Birds was being built and it has been wonderful to see this collection of Bimblebox birds emerge into the world. What a mamoth job this must have been and what an extraordinary exhibition it is…wishing I could have been there in the flesh but via cyperspace gives me a wonderful taste. Thank you for inviting me to write a piece on the Tawny Frogmouth, our wonderful birds need as much protection as well as rights to live as we can give them. 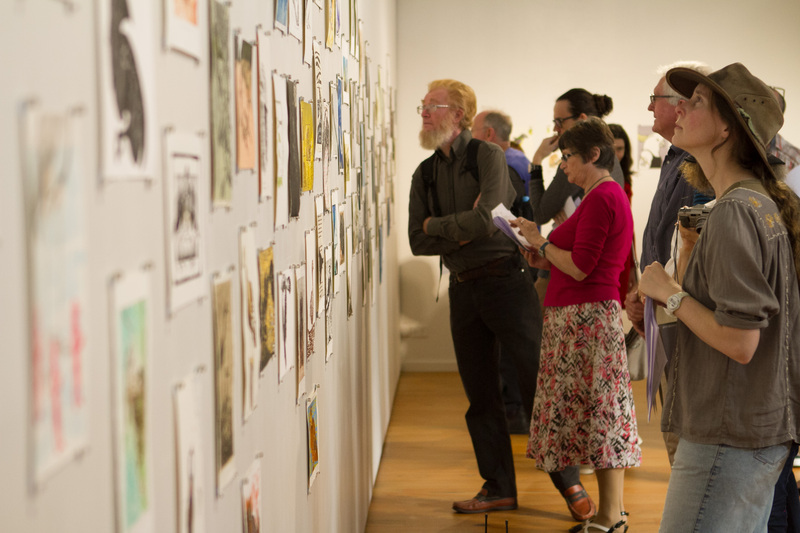 Lovely to have written a poem for this worthwhile exhibition and cause. 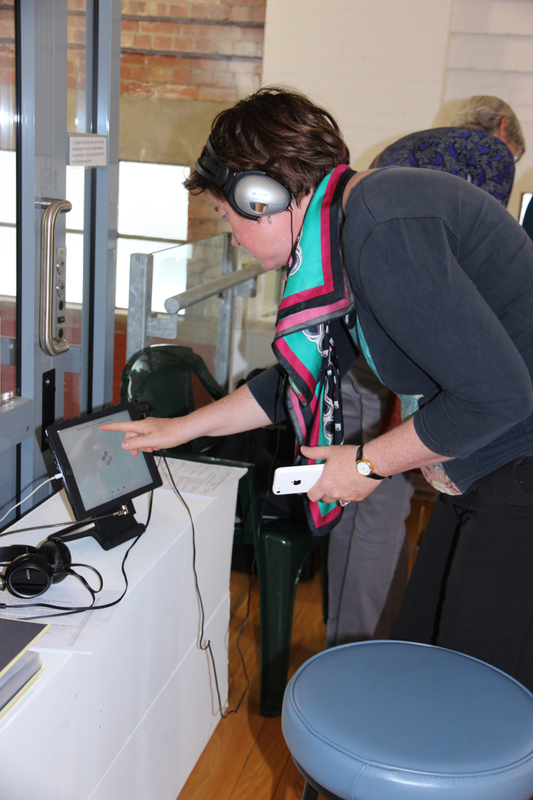 My poem featured the Tawny Frogmouth and included an audio recording of my reading the poem. Is anyone able to get the audio to play? I haven’t heard anything yet from wordpress support. It is very frustrating not to be able to hear the writers and musicians – it is like the birds have been silenced! Yes it works, just takes a little while to start. i would imagine it will depend on what broadband you are on, i am on adsl2 and it takes several seconds to start. 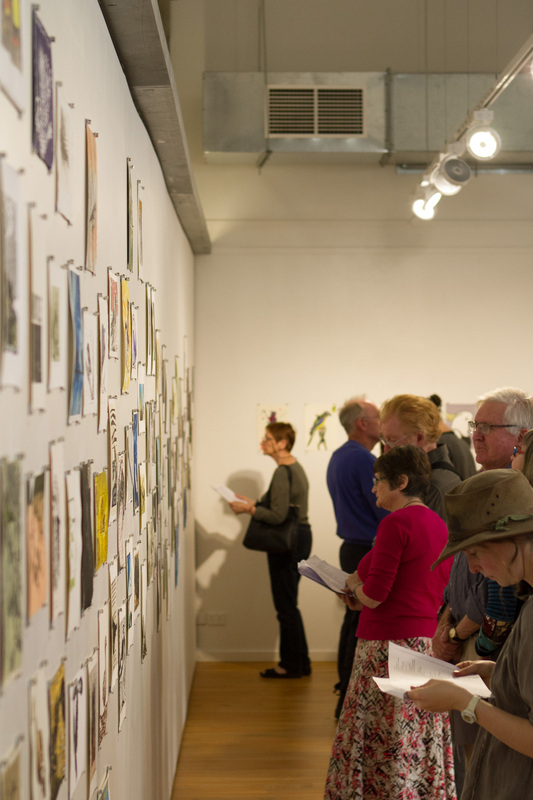 Hi Bimbleboxers, Great to see the exhibition pics and get a little of the buzz from what was clearly a great event. Would like to hear some of the sound if possible – maybe I’m just too remote? But in the meantime, congratulations to all involved especially co-ordinators and curator!! 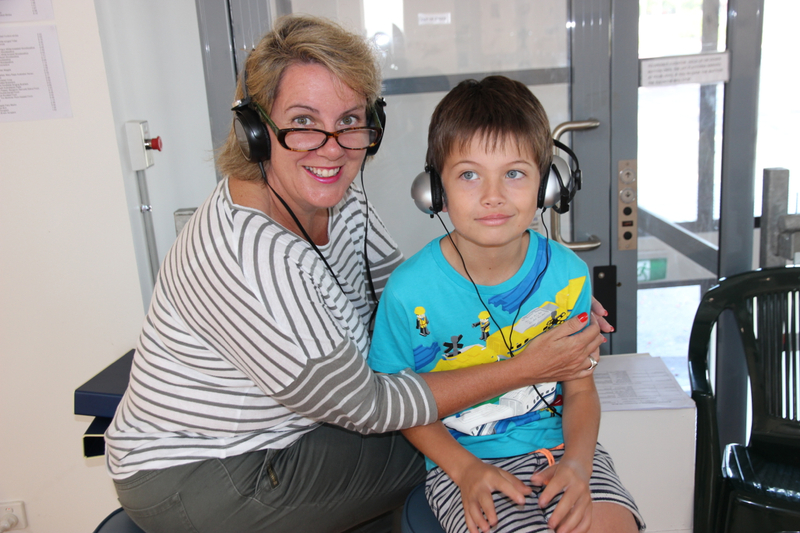 Hi Fiona, wonderful to hear your thoughts and also to have your involvement in this project. I’m sorry you can’t hear the audios. They are a really beautiful and thought provoking part of the project. I can’t play them in my normal browser (firefox), but wordpress suggested I try a different browser (Google Chrome) and so I did and I can play them now, but they do take a bit of time to load. I don’t know why they don’t work with firefox (even after clearing all the browser history as suggested). Maybe try playing them next time you are in the city. Hi, the audio seems to work fine, it’s just a little sow to buffer. Thanks for the feedback Michael. 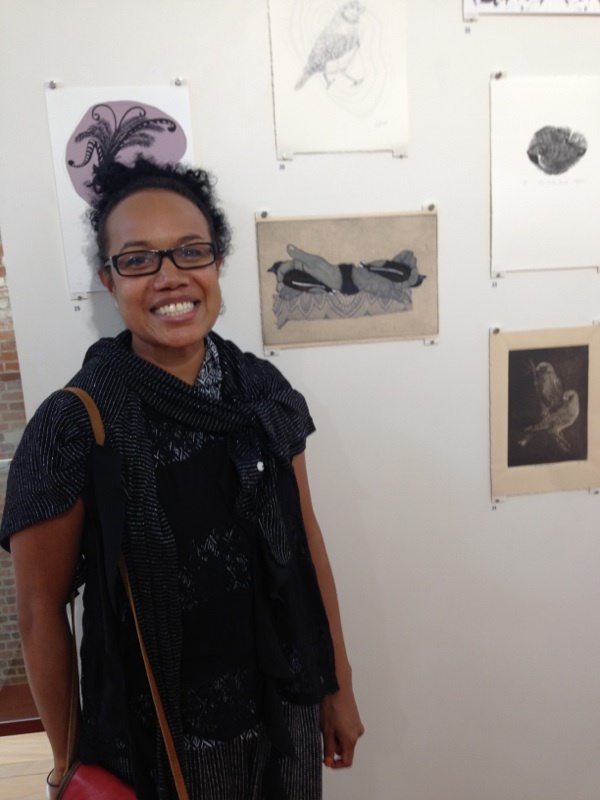 So glad you could hear these poems, prose and musicians bird calls. I am so thrilled to be part of this wonderful project. Congratulations Jill. Well done!